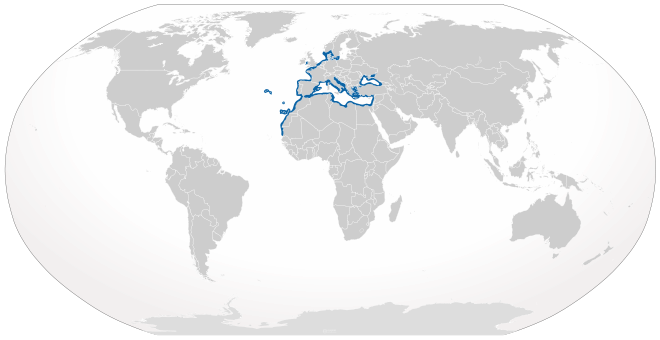 The Common Stingray is mostly found throughout the Black Sea and the Mediterranean, though it is also found throughout the north-eastern Atlantic ranging from Norway and the western Baltic Sea to Madeira and the Canary Islands. 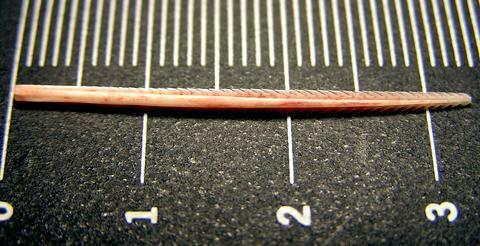 They have also been seen in the eastern Pacific along the coast of North America. 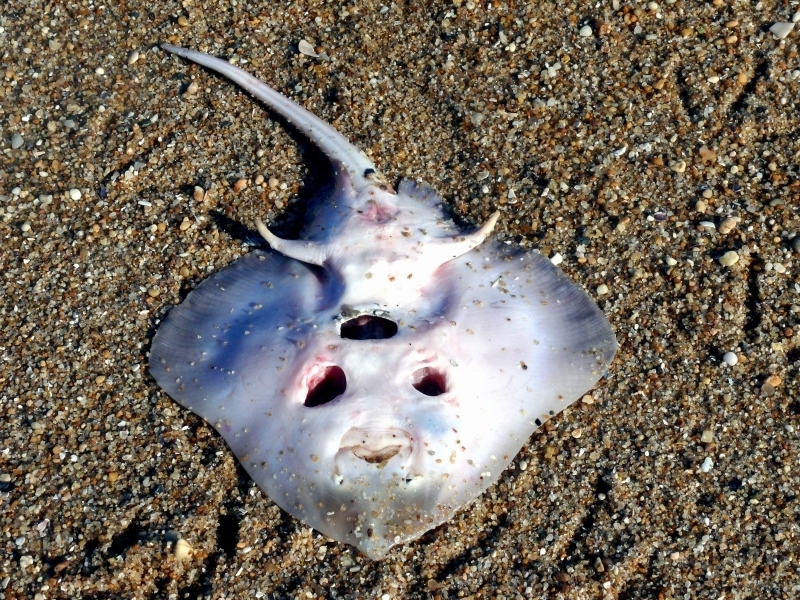 They are seen all throughout these waters and are commonly seen near the shore, encountered by beach goers. 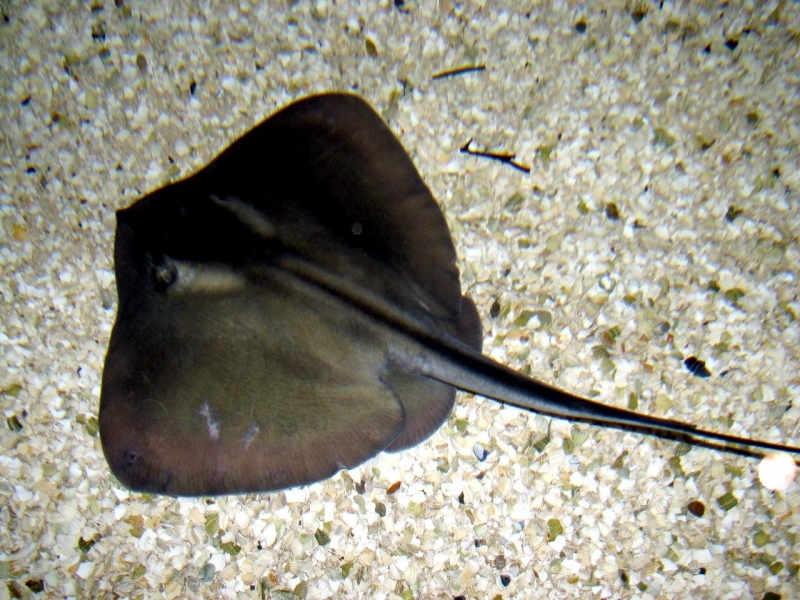 The Common Stingray is usually encountered solitary, though sometimes in small ‘social’ groups. 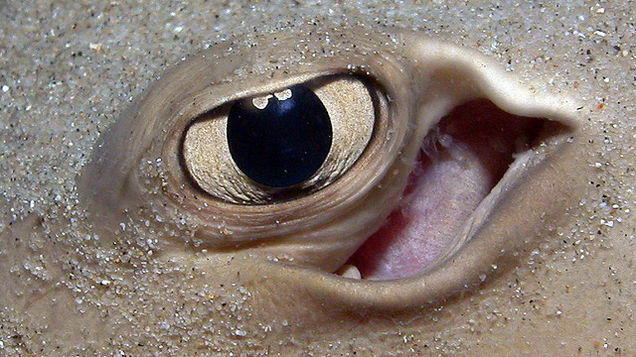 It is generally more active at night, tending to bury itself in mud or sand during the day. 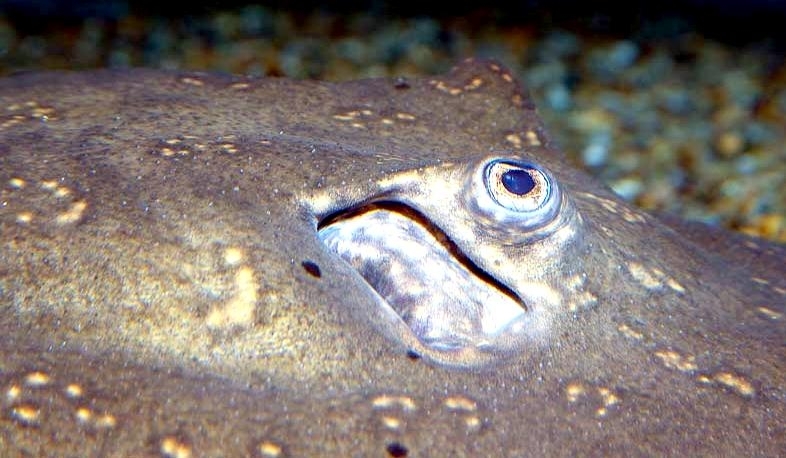 It is a bottom dwelling species which usually is found in shallow water at around 60 meters deep, yet their habitats can extend from the shore line to up to 200 meters deep. 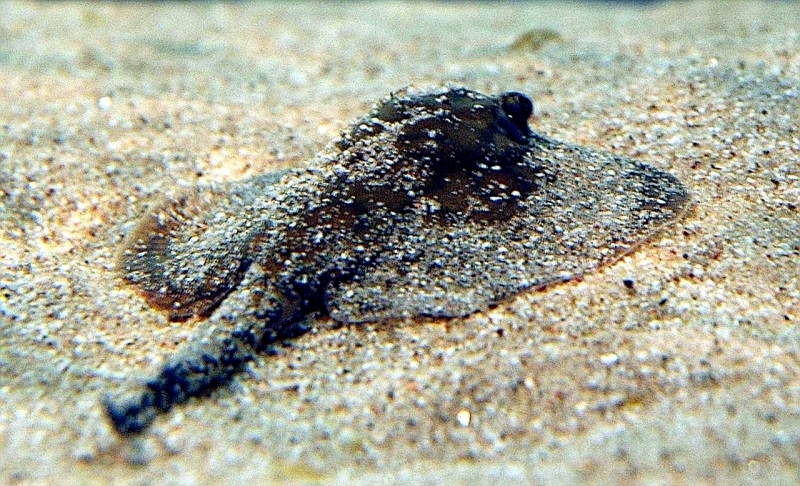 They prefer to live in sandy or muddy bottoms in calm water, where they can be seen to have buried themselves under the sand to camouflage. 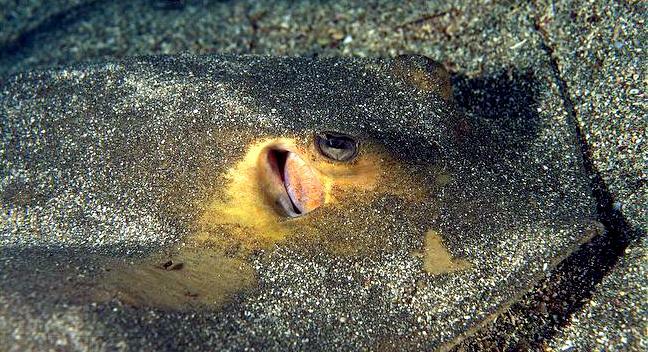 They mostly swim along the bottom of the sea, so as to camouflage themselves easily and also so that they can bury themselves. 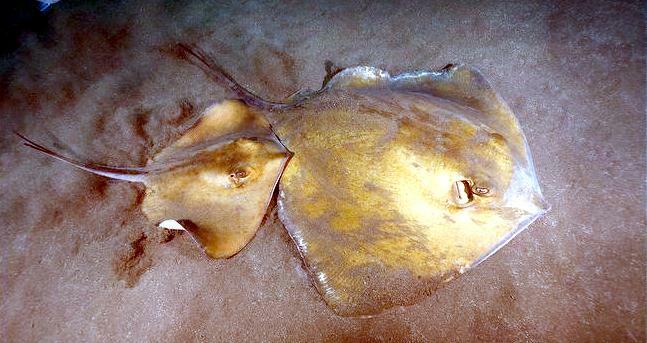 The Common Stingray is also encountered in waters of lower salinity as unlike most fish, its body can tolerate this. 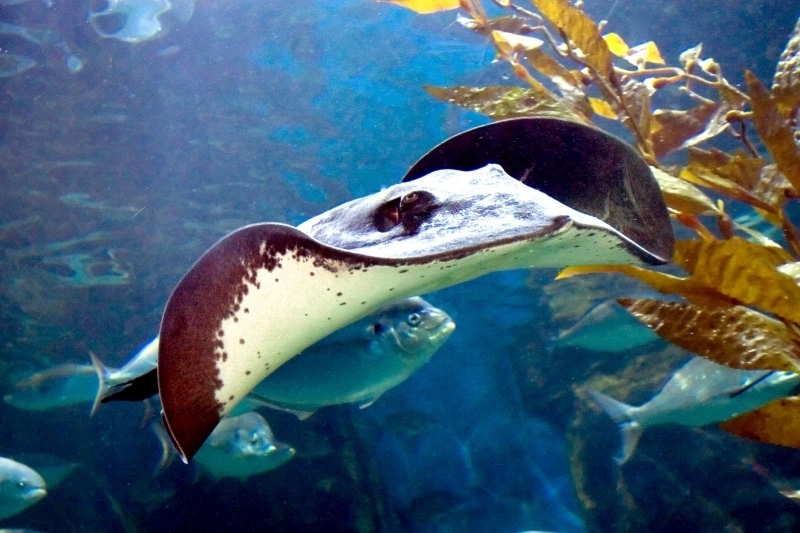 It is often found near rocky reefs or in estuaries and is most abundant in summer and least abundant in winter. They are found among reefs and estuaries due to the levels of food and also they sometimes hide under the rocks or reefs in thin crevices. 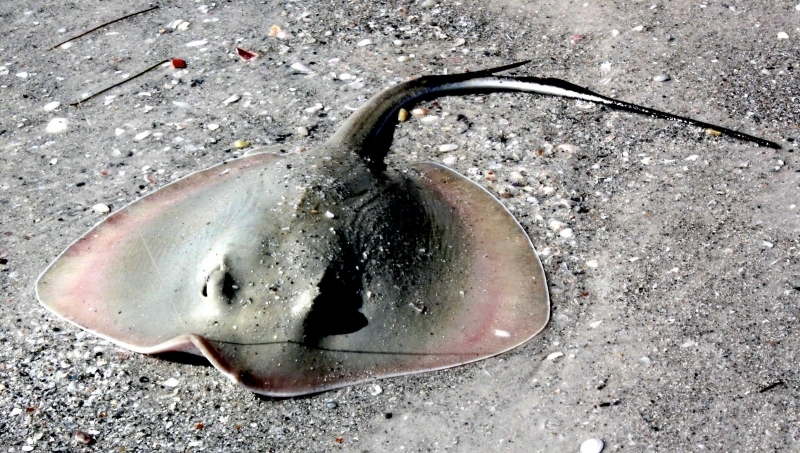 The habitat of the Common Stingray links it to its food sources. 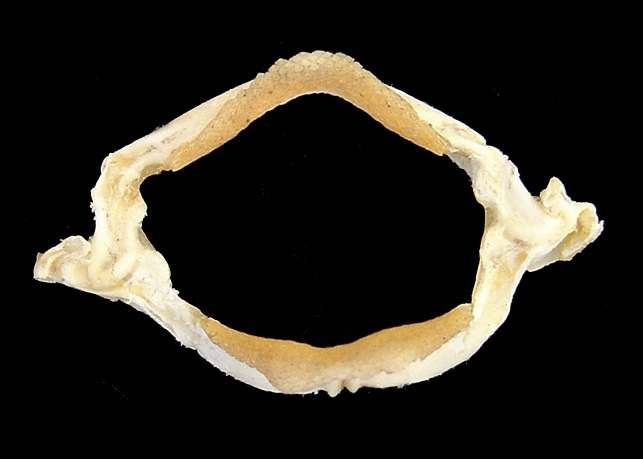 It prefers to feed on a variety of organisms also living on the bottom of the sea, such as crustaceans, cephalopods, bivalves, polychate worms and small bony fish. Their abundance in the summer months also links to its mating patterns, in which the female has been reported to generally give birth between the months of May and September following a 4 month gestation period. 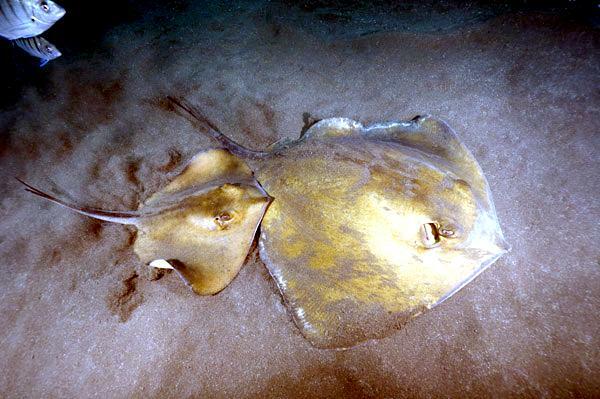 They tend to approach shallow inshore waters to give birth to their offspring. 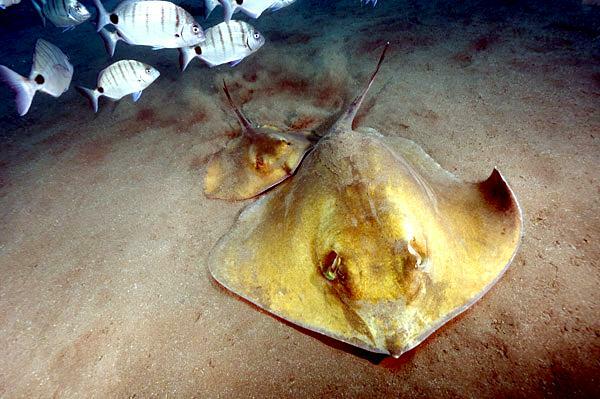 The Common Stingray has structurally adapted to its environment through the size and shape of its body. Overtime its body has become distinctly flatter. 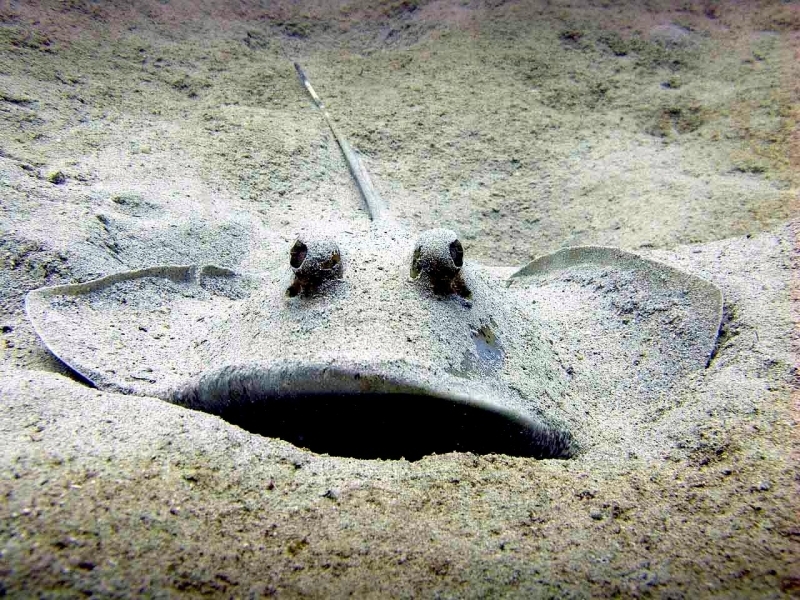 The flatter bodies of the Common Stingray allows them to effectively conceal themselves in their environment. 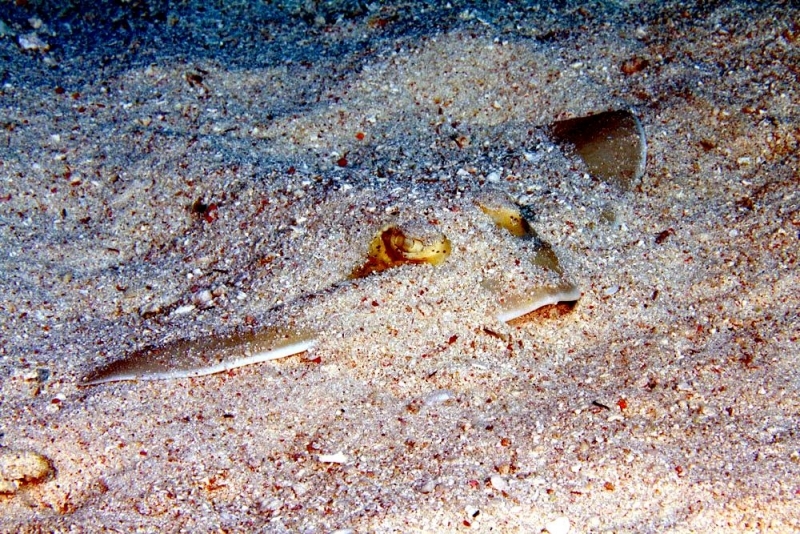 The flat shape is very easy to conceal in the sandy areas which the live, as they can bury under the sand and be very hard to spot. 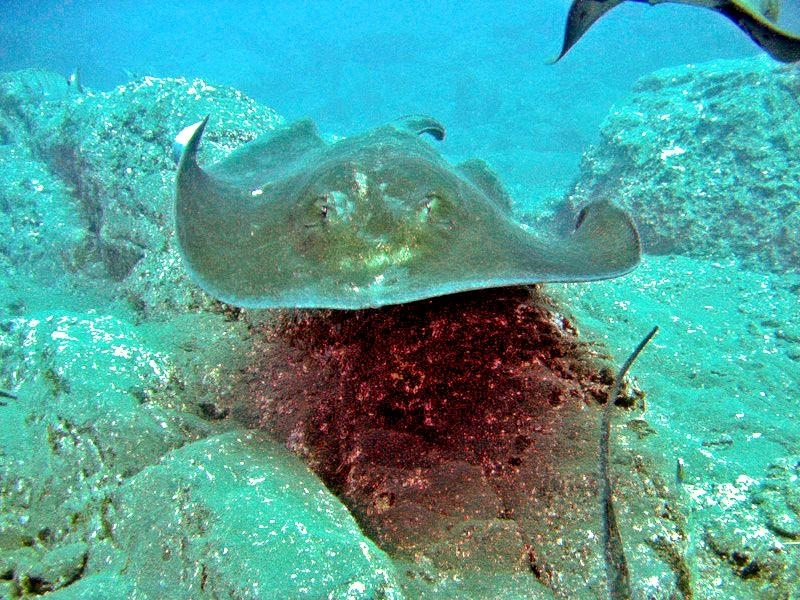 With a larger and more rotund body shape it would be hard for the stingray to hide itself easily and convincingly and also it could not fit as easily into the thin crevices of reefs, which it often does. 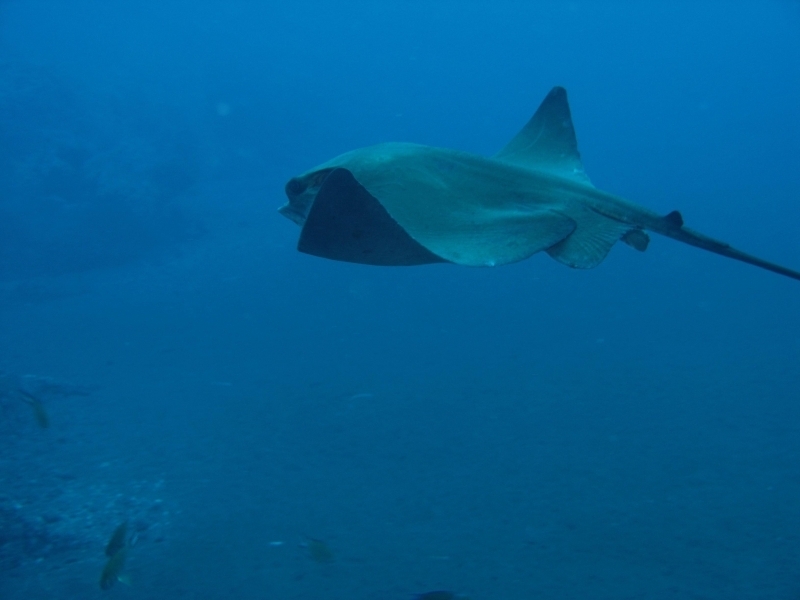 The flatter body shape has also allowed Common Stingrays to travel more easily along the ocean floor as it has become more streamline. It is also easier for it to catch its prey as it can hide itself for longer and then when it desires food, can simply dart upwards to retrieve this with a whirl of sand arising as it does this, which further hides it and makes it harder for the food to escape. 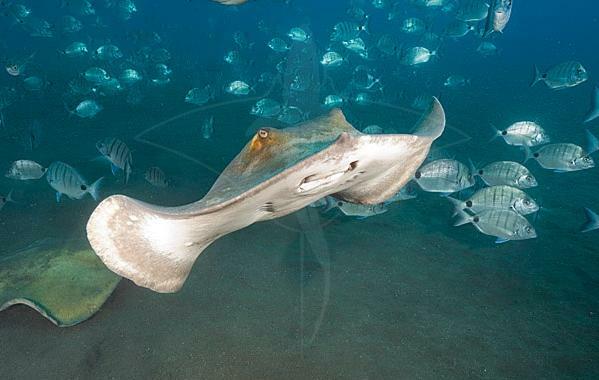 The tails of Common Stingrays have evolved greatly over time becoming thinner & thinner eventually becoming the whip-like feature we see today. 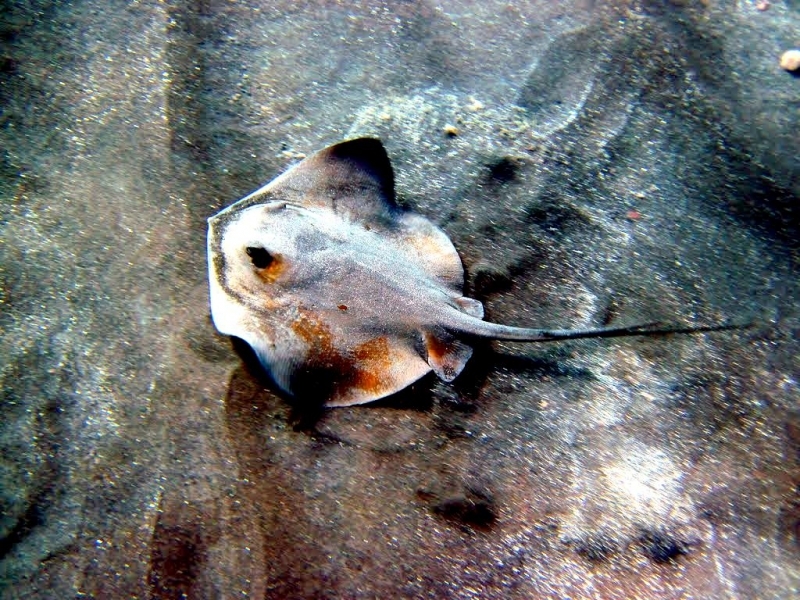 This modern tail aids the stingray in its directional travel and also it is very easy for the stingray to hide when it buries itself in the sand. One of the most important features of the modern stingray tail is that it contains venom. 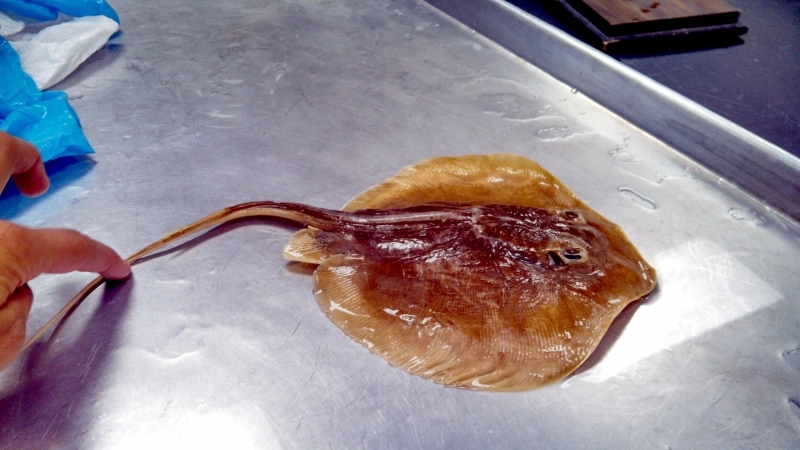 This has become the stingrays most vital weapon, as if anything seeks to attack it from above or stands on it, this barb like tail can stab into the danger whatever it may be and injected into it. 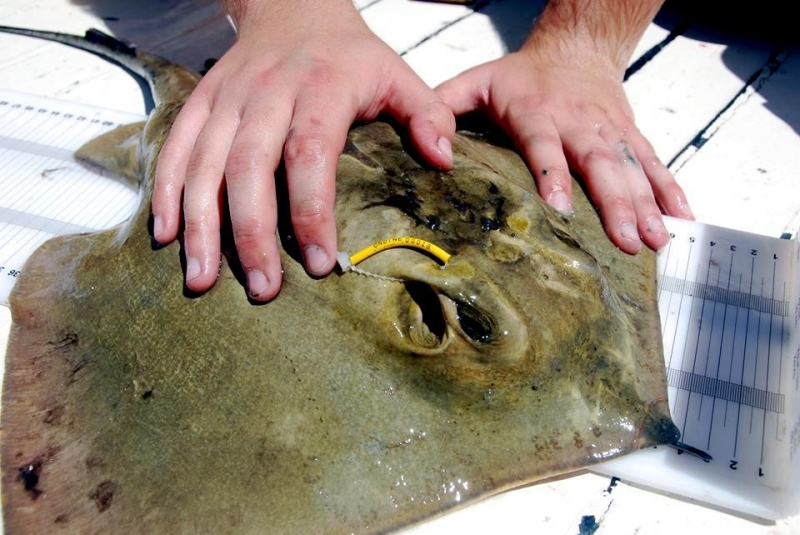 One of the most important features of the modern stingray tail is that it contains venom. 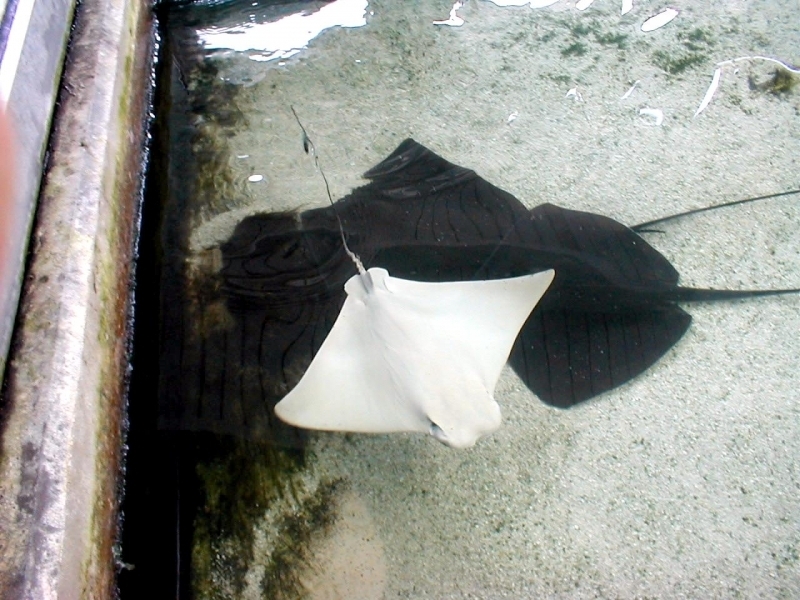 The toxin in Common Stingray’s tails is a type of protein which is present under the thin skin of the Common Stingray’s tail. The thin skin breaks on penetration and the toxin is released. 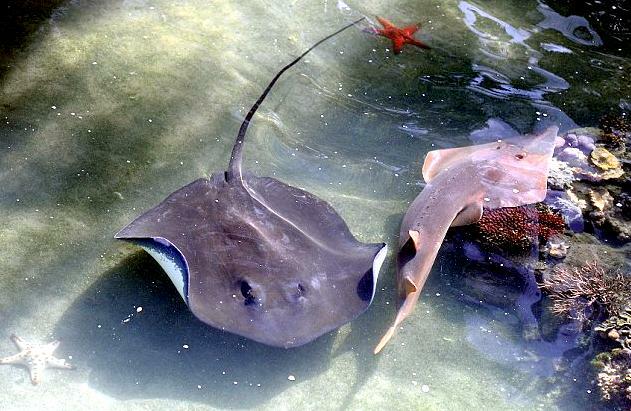 If the stingray loses one of its barbs while defending itself, it immediately begins to grow a new one. 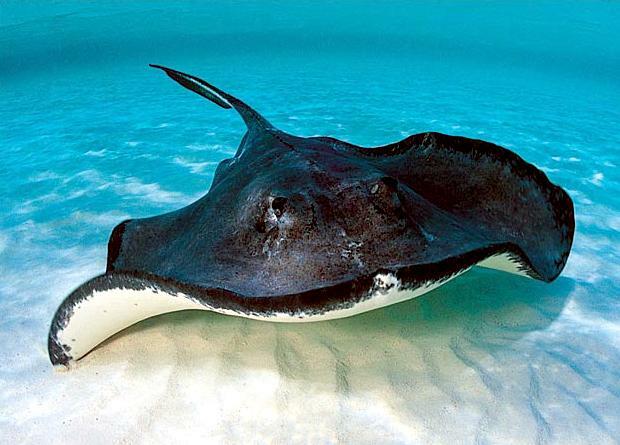 All stingrays shed and re-grow their spines on a regular basis regardless of whether they use them. 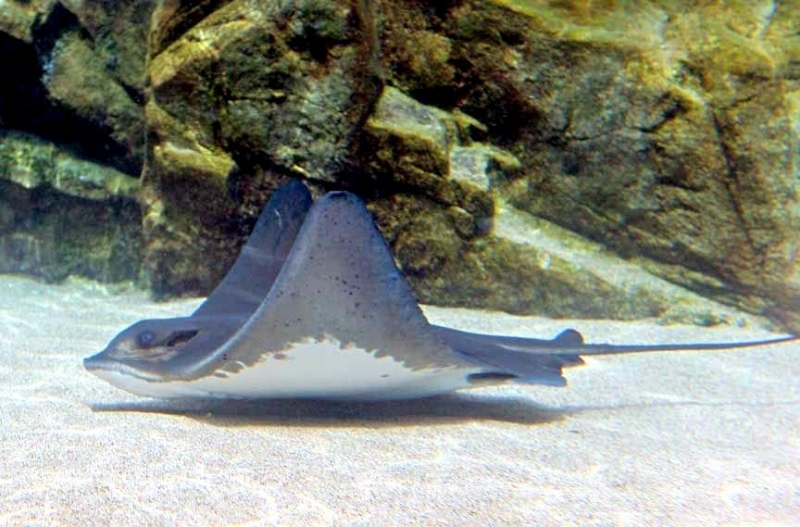 A common misconception of a stingray’s tail is the spines are at the end but this is not true, the spines are at the base of the tail and Common Stingrays can have up to 5 spines. 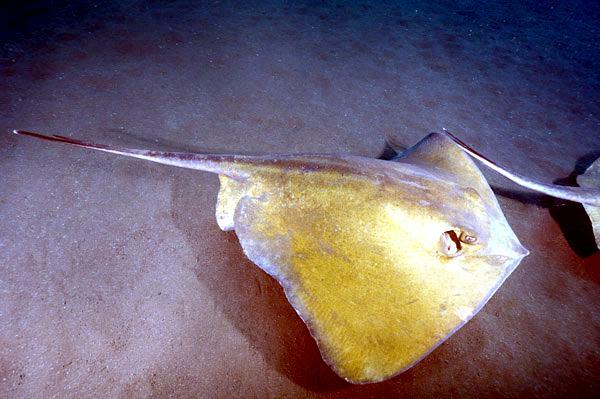 If a stingray loses a spine by defending itself a new one will immediately grow back. 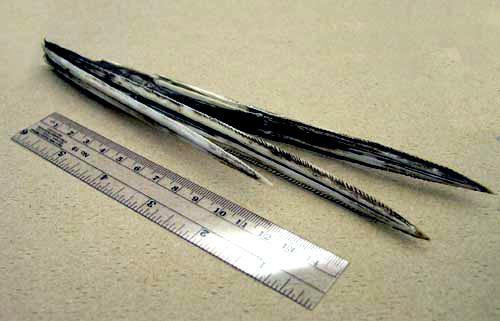 Also the presence of toxins may have occurred due to the rising need to protect themselves from the modern predators of the ocean, as the sharp tail was not enough. 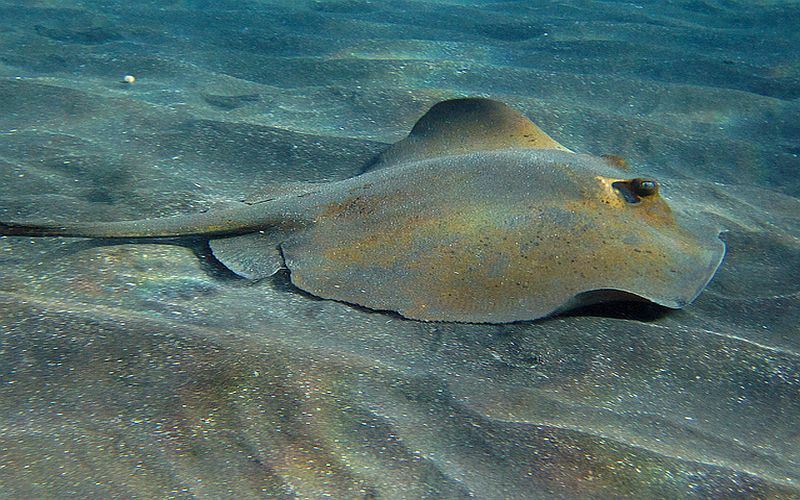 During the summer months, from May to September is when Common Stingrays are most likely to give birth after a 4 month gestation period. They move to shallower, warmer waters until the pup is born away from the male partner and gradually move back to the original habitat. 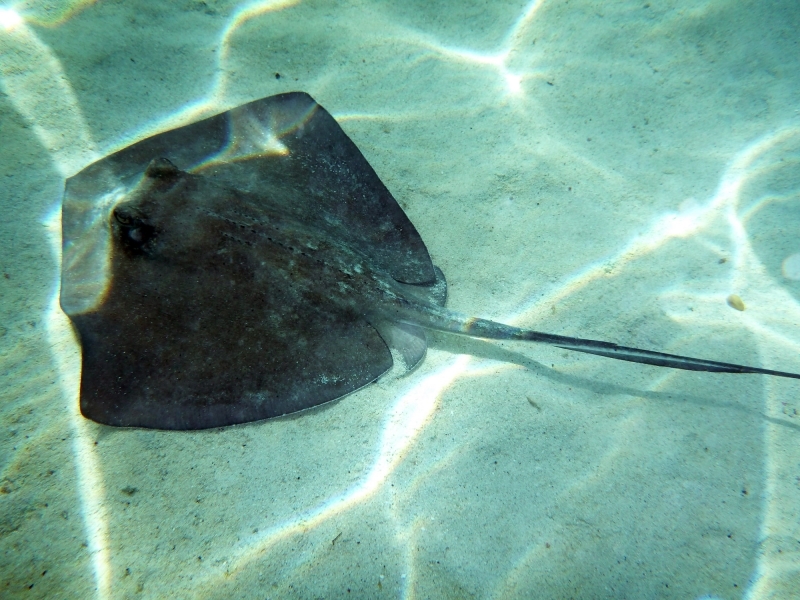 This helps the Common Stingray as during the summer months the animals in which the Common Stingray feeds upon are more common and easily found and therefore gives the offspring more food and a higher chance of survival. 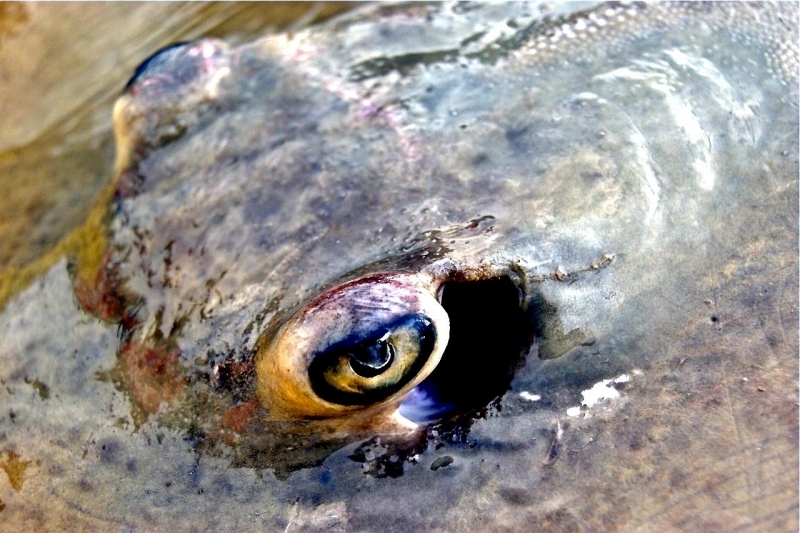 They also move into shallower waters as there are fewer predators there to pose as a threat to the young. Being away from the males until the warmer months end ensures that mating will not occur again until the next year when the female will be able to give birth in the warm months to again give the young the highest chance of survival. 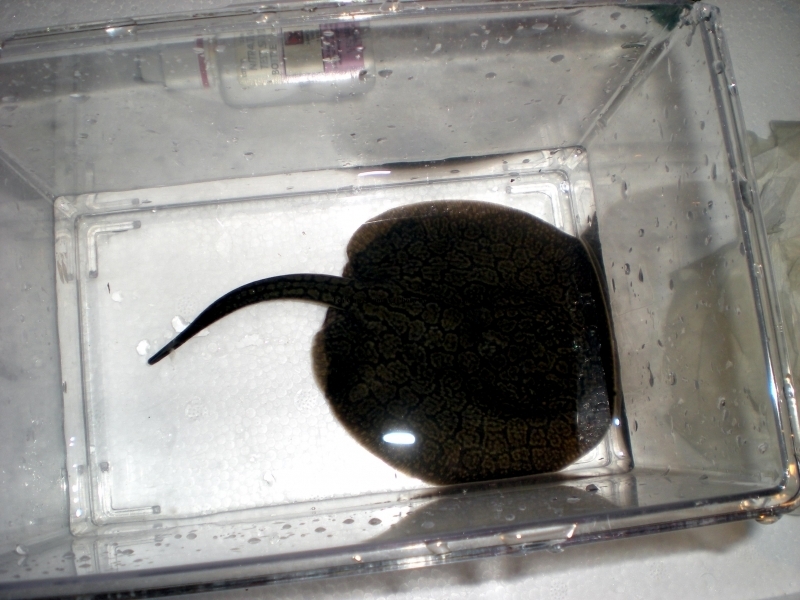 Environmental pressures which could have given rise to the breeding patterns of the Common Stingray are that during the period from May-September, the animals which it hunts are much more common and therefore the pup will have a higher chance of survival and also the fact that if they mate so that they give birth in winter, the pup may not survive due to lack of food which would mean that they would have to hunt in deeper areas where there are more predators which may pose a threat to the offspring. 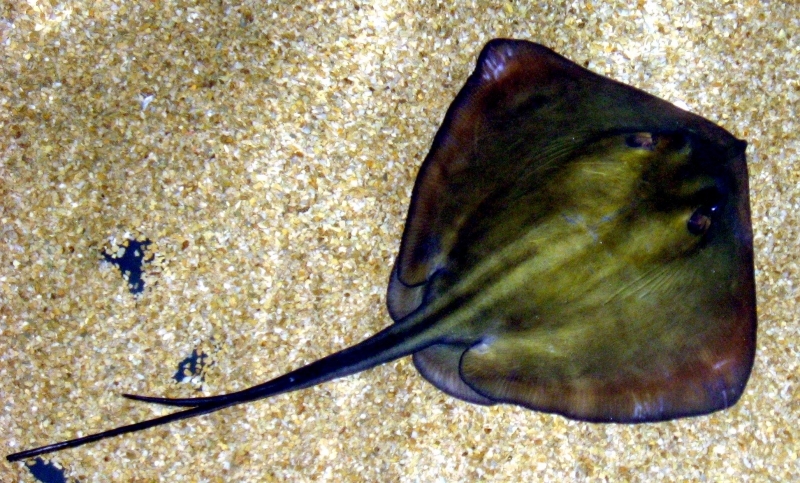 The Common Stingray is more active at night due to the fact that the animals which they feed on are more abundant at night and also hunting at night is an advantage to them as they do not rely on their eye sight for hunting, they use their smell & electroreceptors which are just as effective at night as they are during the day. 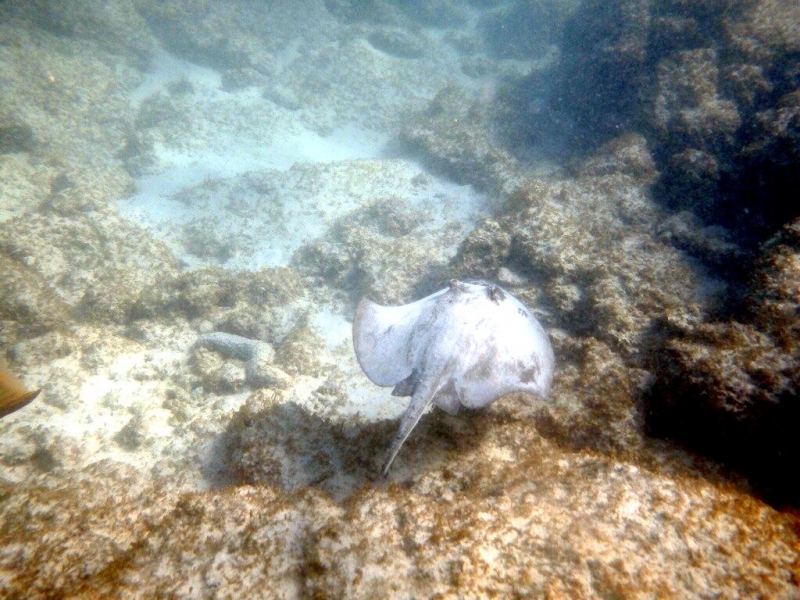 Common Stingrays need to camouflage themselves is more important and necessary during the day, as the light makes them easier to spot and if they move around a lot they could be at risk from attack from predators. 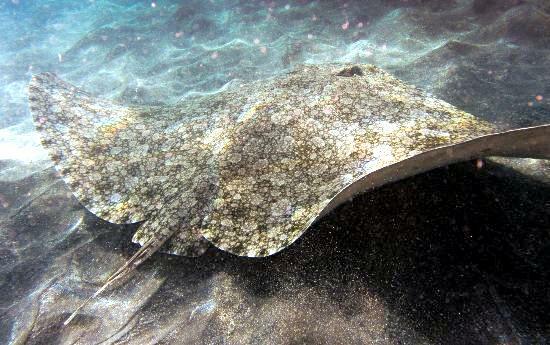 Although most underwater animals can see at night, they cannot see as well as they can during the day and therefore Common Stingrays can move around without being very susceptible to attack. 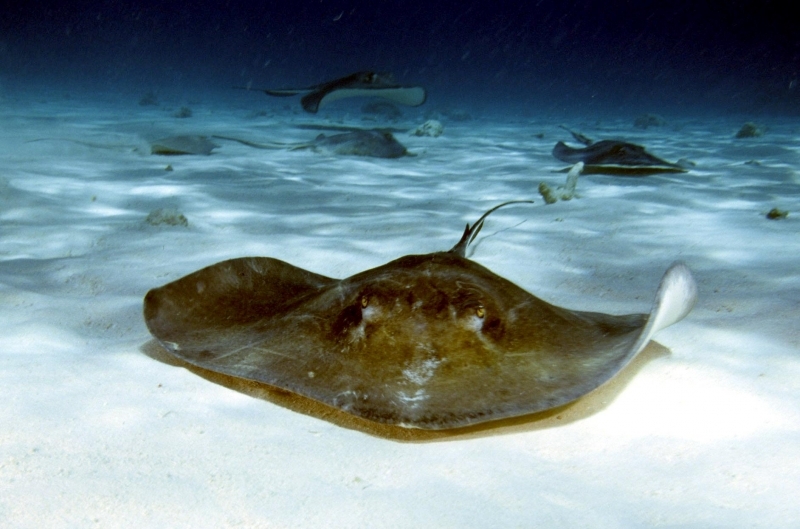 During the day, Common Stingrays usually bury themselves in sand or mud during the day as it is harder to hunt at this time and also is the most dangerous, although they will move and become active if danger is present or there is the need to leave where they are. 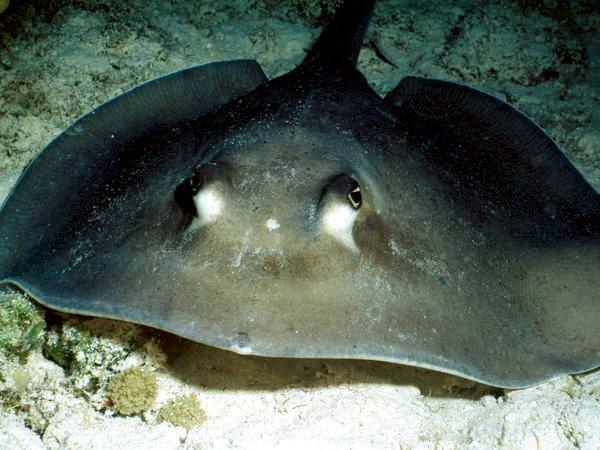 Environmental pressures which may have led to this could be the fact that the Common Stingrays color does not blend in with the white/yellow sand of the ocean floor and if they hunt during the day they would be highly visible. 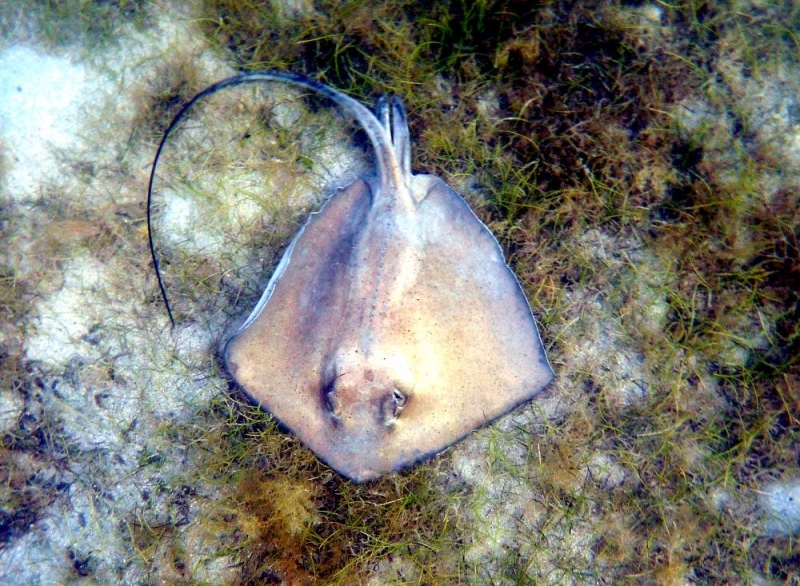 Also at night on the reefs and estuaries where the Common Stingray is found, the animals which they feed are more active and common at night, which would lead to stingrays having a better chance of feeding at night due to lower visibility (they can use their electroreceptors) and more prey. 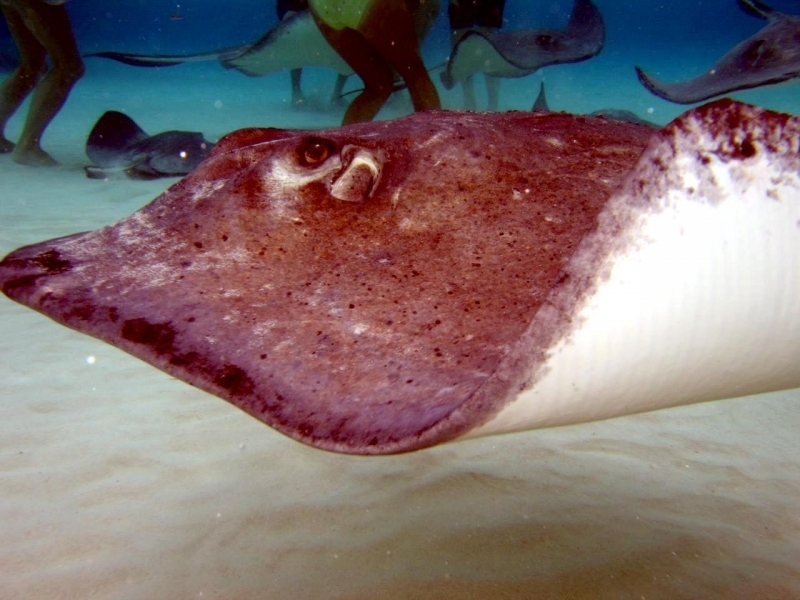 Common Stingrays cannot see their prey when they hunt or when they are eating. They use to very clever detectors which over time have developed into the advanced and efficient method used today. 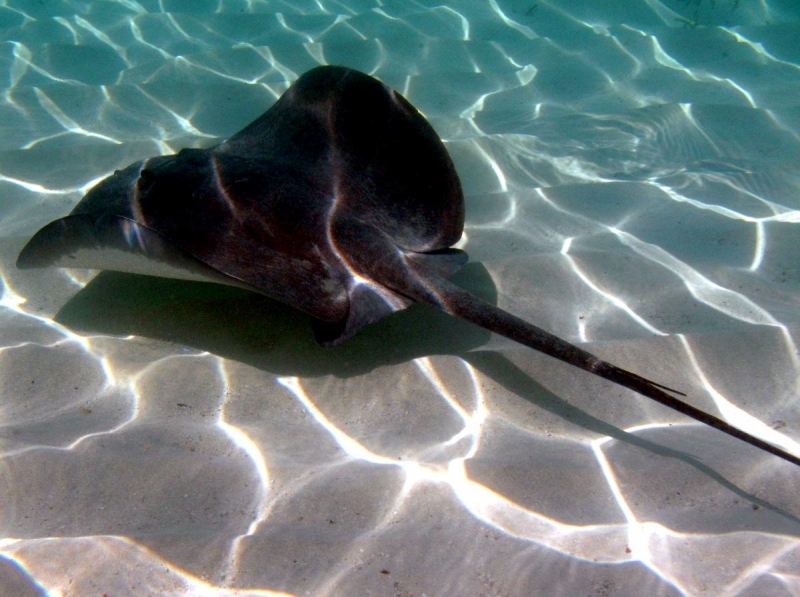 Common Stingrays have low-frequency Electroreceptors and smell detectors, which allow them to hunt & eat without the use of their eyes. Electroreception is the biological ability to receive electrical impulses. 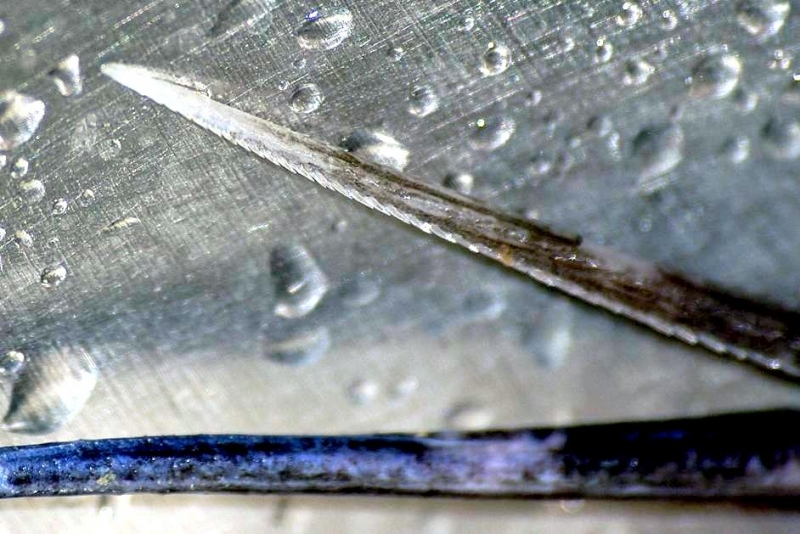 This system consists of many tiny gel canals positioned on the head. These senses can also be used for detecting their environment and almost like a compass, as it is believed that the electroreceptors can sense the earths magnetic field. 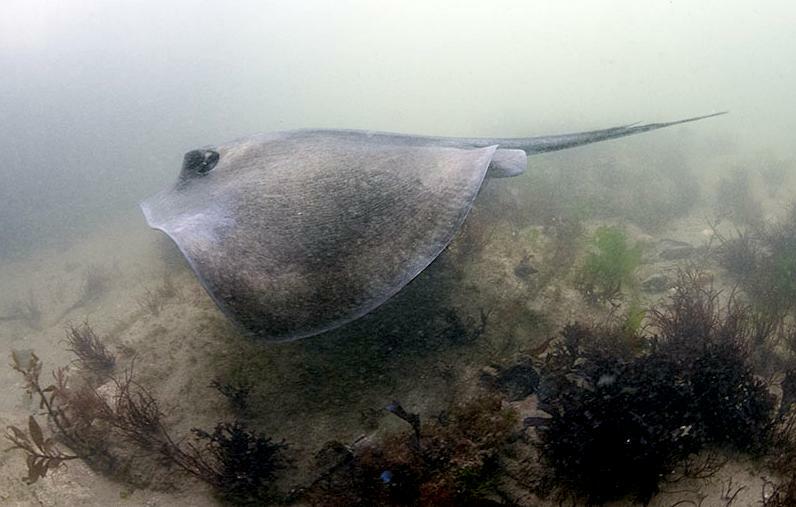 These are vital adaptations although the ray has always had a sense of smell, over time it has developed and strengthened and the electroreceptors have evolved to become a very effective hunting & feeding mechanism. 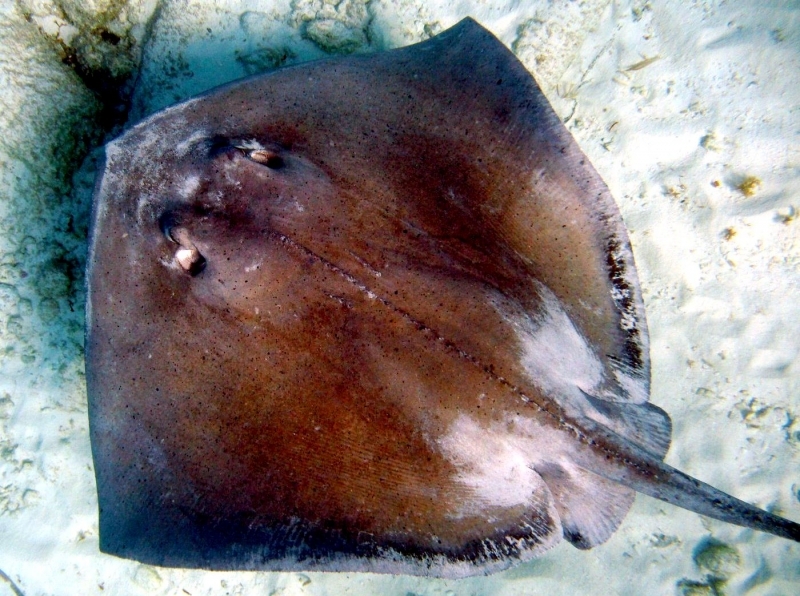 Common Stingrays undertake passive electroreception, where they can sense the weak bio-electric fields which are created by other animals, as opposed to active electroreception, where the animals senses its surrounding environment by sending out weak electric fields of no more than 1 volt. 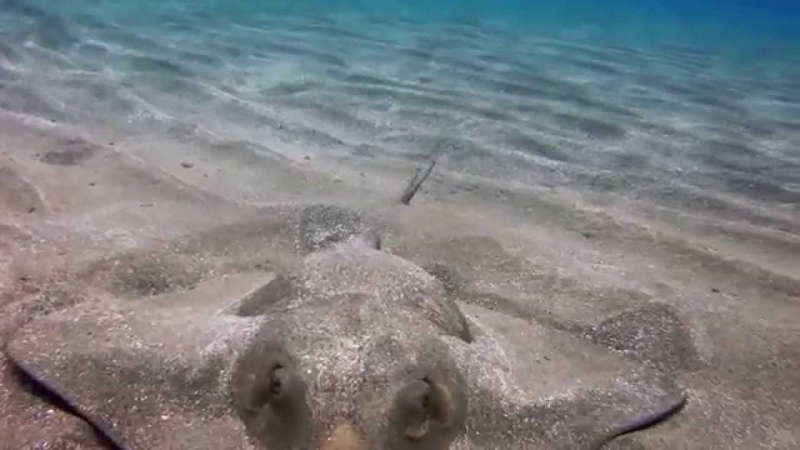 The Common Stingray relies on its electroreception the most in the final stages of its attack, as they are able to sense the movements and environments immediately prior to their attack which is a vital advantage.